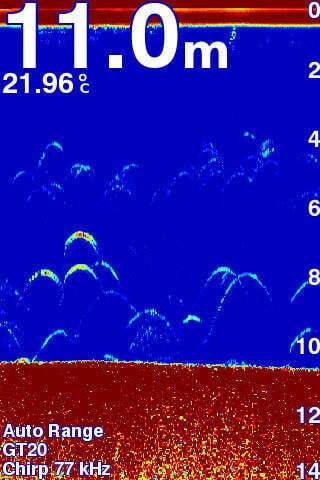 Finding fish is easier than ever with STRIKER 4 fishfinder. 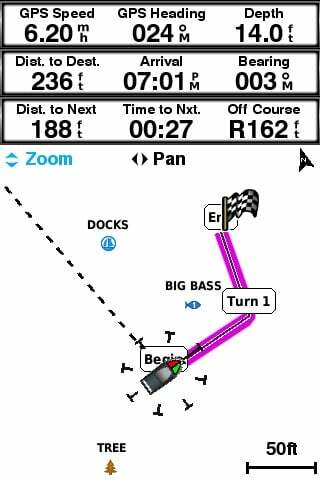 Mark and return to your hot spots, boat ramps and docks, and share your favorite waypoints and routes with other STRIKER and echoMAP� combos. Smooth Scaling� graphics provide uninterrupted imagery when switching between depth-range scales. Sonar history rewind allows you to scroll back through sonar images to mark waypoints you originally may have missed. Plus, it has a built-in flasher and displays speed data. Includes tilt/swivel mount, CHIRP (77/200 kHz) transducer with transom and trolling motor mounting hardware and cable. For high-performance CHIRP, purchase a GT8 or GT15 transducer (each sold separately). 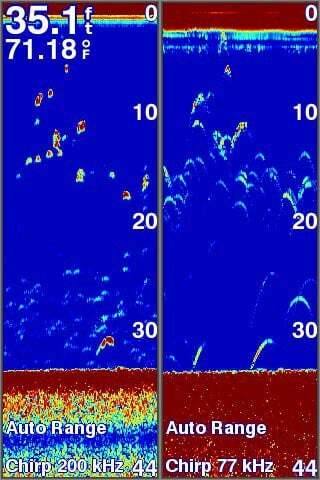 You also can upgrade to high-performance Garmin CHIRP technology, which provides crystal-clear sonar images with even more remarkable target separation and resolution from shallow to deeper depths. For better fishing, bottom contours are more visible, even at higher speeds, and signal noise can be suppressed at greater depths to provide a more timely interpretation of what�s below. Since the STRIKER fishfinder series includes high-sensitivity GPS, you can see your position in relation to waypoints you have marked. Use the waypoint map to easily view, mark and navigate to locations such as brush piles, stumps and docks. It�s also a great tool for finding your way back to the boat ramp. 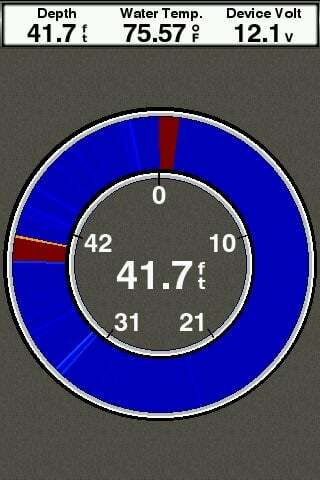 You can quickly and easily see your boat�s speed on the screen of your STRIKER fishfinder. It�s a great tool to make sure you are trolling at the right speed for the lure you�re using and for a particular fish species. 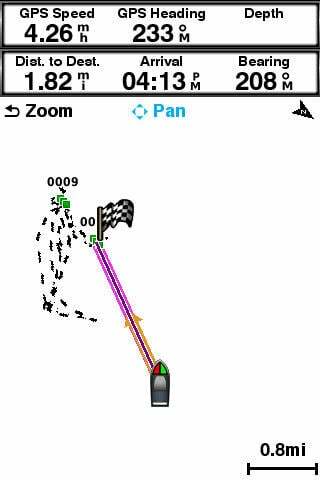 It�s also a good way to tell if you are going the right speed in wake-controlled areas. A portable kit is available to protect and carry your STRIKER fishfinder with GPS, so it�s perfect for kayak, canoe or ice fishing. It includes a sealed, rechargeable battery with charger, built-in transducer cable management and storage and suction cup transducer mount and float.